The aim of this project is to extend TI StellarisWare USB CDC Device demo with Microsoft OS Descriptors. By doing so one turn device WCID1) compliant. Using this optional, vendor specific extension to USB specification is supposed to have numerous advantages. The most important is true plug-and-play without use of .inf descriptor files. Moreover MS OS Descriptors can provide other data usually shipped with .inf file. WinUSB also allow for using USB raw transfers: control, bulk, interrupt. 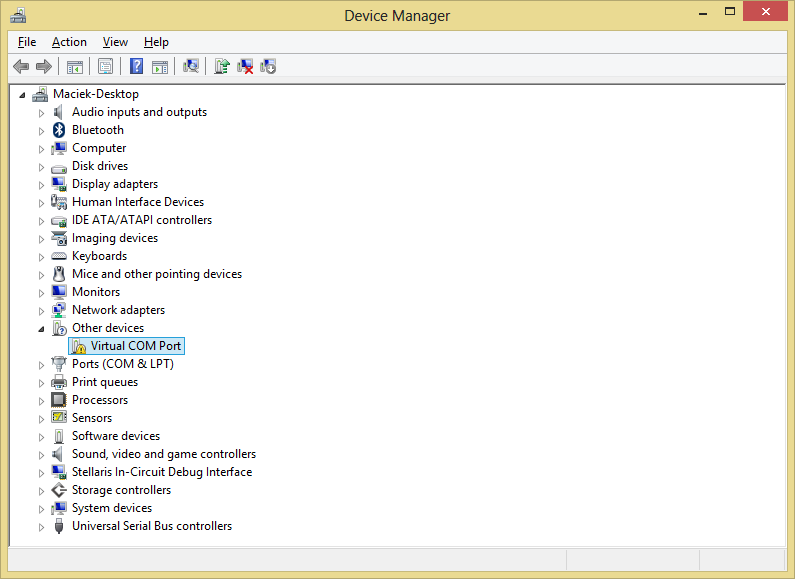 Automated driver installation is natively supported in Windows 8. Previous versions of windows down to Windows XP can benefit from it as long as user has access to the internet and Windows Update service can download drivers. If this service is blocked user must provide .inf therefore automated installation and true plug and play is non-functional. TI Stellaris Launchpad with no modifications will be used in this project. The project is accessible for download through GitHub page. 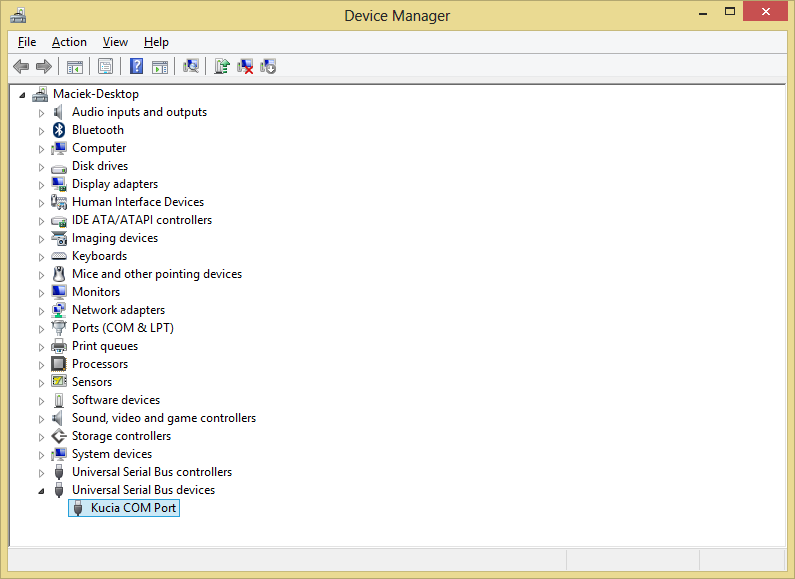 Project is based on TI StellarisWare USB CDC Device demo code modified by lawrence_jeff for Stellaris Launchpad support. Please see Stellarisiti thread. Below steps to follow implementing OS descriptors. If the USB Device Descriptor’s bcdUSB field is equal to 0x0100 or 0x0110, the hub driver will skip the query for the MS OS Descriptor and move to the “Serial Number String Descriptor Query” state. If the device reports USB version 2.0 or higher Windows is sending request for non-standard string descriptor. The descriptor has a index-number of 0xEE. Appropriate condition must be added to usbdenum.c under line 1789: case USB_DTYPE_STRING:. User must return speciall MS-defined string descriptor. The only value that can be changed is vendor code. Vendor code is used during further non-standard requests but in the end it does not have any relevance. Windows asks for OS feature descriptor (0xC0) that falls into non-standard request in Stellaris USB stack. Those two request fall into CDC HandleRequests code (usbcdc.c). I catch 0xC0 request in this function. First only header is requested to determine size of whole descriptor. Extended properties descriptor provides additional information that is added to Windows registry upon device enumeration. Unfortunately it seems that both Label and Icon properties have no effect. Handling is same as in step 3 with the exception for request type is 0xC1. HKEY_LOCAL_MACHINE\SYSTEM\CurrentControlSet\Control\usbflags - Stores information if device with specific VID PID has OS descriptors or not. HKEY_LOCAL_MACHINE\SYSTEM\CurrentControlSet\Enum\USB - Stores information on class and other (this key is removed on device uninstall in Device Manager). Removing appropriate sub keys from preceding path allows for re-enumeration of device. MSDN How to install WinUSB.sys without a custom INF?